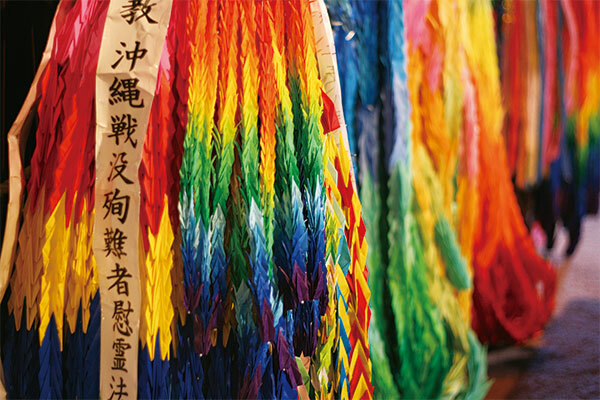 June 23, Memorial Day, has special significance in Okinawa. The Battle of Okinawa, the only ground engagement of the Pacific War fought on Japanese soil, claimed over 240,000 lives and destroyed buildings on the island along with countless historical documents, artifacts and cultural treasures. About the half of the war victims were local Okinawan residents, among them children. On June 23, 1945 top Japanese generals Mitsuru Ushijima and Isamu Cho committed suicide in Mabuni, Itoman City, resulting in the end of the war. That day is now observed as Memorial Day in Okinawa. We should remember those lost in the war and pray for peace.